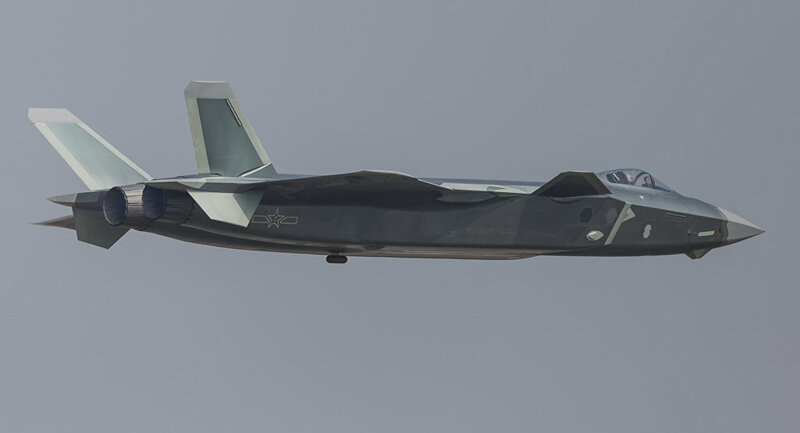 The J-20 fifth-generation stealth fighter jet is the most recent addition to the People's Liberation Army Air Force (PLAAF), which was adopted in 2017. It is considered to be a rival of the F-22 and F-35. The Chinese Air Force had a surprise in store for all the visitors of the Zhuhai Air Show on 12 November. On its 69th birthday, the PLAAF showed off its most recent acquisition — the J-20 fifth generation stealth fighter jet. Four jets flew above the crowds, showing off incredible maneuverers, despite being loaded with missiles. Later, two of them for the first time even opened their bay doors to reveal their air-to-air missiles at the air show. How Does China’s Stealth ‘Weilong’ J-20 Warcraft Stack Up to the US F-22 Raptor?